The King returned to the Land. Kyrie was testing the limits of his growing power. Andy Varejao’s ferocity was renewed as he teamed with his greatest compliment Lebron James. There was an outstanding energy to the Cavs in 2014-2015, but they initially struggled to break through perennial power teams like the Spurs. 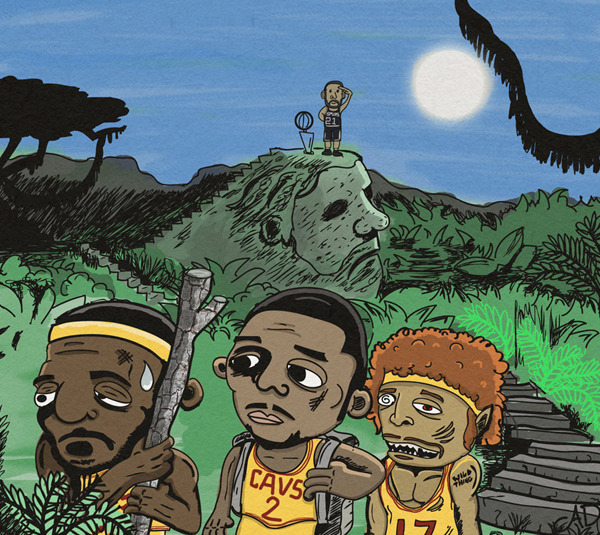 I wanted to visualize the Cavs early struggle through the Larry O’Brien jungle. They ascended Mt. Pop, but had to hobble home, battered and bruised by the man on top: Timmy Duncan.